Serial entrepreneur Jason Calacanis often talks about the qualities that, in his opinion, describe the perfect content product: real-time, fact-driven, visual, efficient, and curated. Real-time: Does your content take advantage of current trends and relevant news stories? 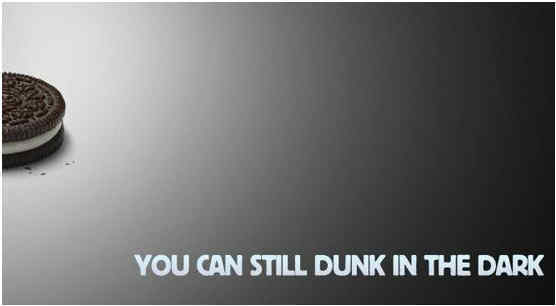 Oreo created a memorable brand moment with its spontaneous — and perfectly-timed — delivery of the tweet, “You Can Still Dunk in the Dark,” during an unexpected blackout in the middle of Super Bowl XLVII. The image was retweeted more than 10,000 times and received free press from nearly every media company on the planet. While Oreo might have lucked out by capturing lightning in a bottle, the underlying lesson is clear: Brands can gain a competitive edge if they create content off the back of popular culture or industry news. But what you may not be aware of is that Oreo had the real-time staffing and approval structure already in place from its 100 days of Oreo campaign. The point: Real-time doesn’t just happen overnight. Fact-driven: Regardless of the point of view you express, the content you develop must be based on fact. Just like in grade school, when we had to cite the sources we used in our history reports, leveraging credible statistics and information is essential to creating authoritative, meaningful content. Almost every media company employs a fact-checker… someone whose sole responsibility is to make sure what they are saying is 100 percent correct. If even one piece of content you release is factually inaccurate, the social web will be relentless in its attacks on your brand. Your job is to set the necessary processes in place to ensure this never happens. 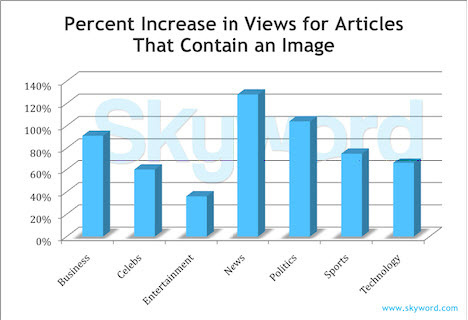 Visual: In late 2011, Skyword, a content marketing platform, performed an analysis on all of its content, and found that blog posts and articles that included images performed 94 percent better than those without images in the same category. Why does this happen? According to research conducted by 3M, 90 percent of transmitted information in the human brain is visual in nature, and visual content gets processed 60,000 times faster than the written word. So visual design is critical, even in text-based content, and should be a part of every one of your content marketing efforts. Efficient: When we first started posting our daily blog posts at CMI, all tasks were handled by just two people: Michele Linn and myself. We did the best with the resources we had. Now, almost four years later, Michele leads our strategy, Jodi Harris manages our daily content, Lisa Higgs proofs and cross-checks our content, Tracy Gold reviews all of our headlines and keywords, and Mike Murray edits our metadata for search engine optimization. Over the years, we’ve been able to refine the process, bringing in experts to oversee key areas, so that we are able to manage our resources and processes as efficiently as possible. Curated: Pawan Deshpande, CEO of Curata, defines content curation as, “the practice of finding, organizing, and sharing the best and most relevant content on a specific topic, rather than [marketers] solely creating all their content themselves.” Even the smartest media companies in the world, such as The Huffington Post, The Wall Street Journal, and Mashable, produce stories that leverage other people’s content. Your job, like that of a museum curator, is to unearth the best content on the planet in your niche, so that your museum doesn’t close down for a lack of visitors. Have you designated someone in your organization to be responsible for monitoring industry or popular news related to your business? Have you implemented a process for delivering critical industry information to your organization’s lead content creator? Do you currently employ a fact checker for your content? If not, who has been put in charge of proofreading your content and ensuring its accuracy? Have you developed a plan for image selection as part of your content creation process? Are you making sure to incorporate those images into every piece of online content you create? 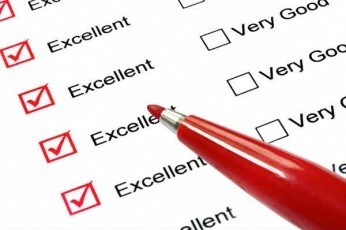 Are at least three people on your team checking and reviewing each piece of content before it gets published? Is your blog content being checked against a prioritized list of keywords that your division or organization is looking to rank for? Has someone in your organization been assigned the responsibility of integrating curated content along with your original content? Do you have a “hit list” of sites that you regularly check for new opportunities to curate content? Remember, content marketing’s purpose is to attract and retain customers by consistently creating and curating relevant and valuable content with the intention of changing or enhancing consumer behavior. It is an ongoing process — not a “one-and-done” campaign. Make sure your content marketing operations include elements of the above five points so that your readers will actually engage in the content you spend so much time producing. Joe Pulizzi’s latest book, “Epic Content Marketing,” will be released in September 2013. You can preorder it now on Amazon.com.